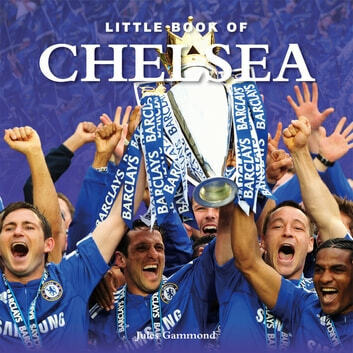 This fascinating little book lists all the great players and people that have shaped the history of the club from Roman Abramovich to Gianfranco Zola. Amongst the legendary players are several from the Championship-winning sides including midfield maestro Frank Lampard and captain courageous John Terry who has blue blood in his veins. There are historical facts and figures about the highest attendances, greatest goalscorers, most appearances and the Greatest Ever XI as chosen by the fans. Trivia addicts will be disappointed as we list the most famous fans, the official list of Players of the Year and every League position since the club was founded. 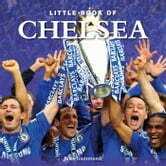 Little Book of Chelsea is a must have for any Chelsea fan, featuring all the key players, managers and events that have shaped the club to date. Include profiles on legends such as Peter Osgood, Jimmy Greaves, Didier Drogba and John Terry. A unique and fascinating A-Z of the Premiership club which celebrated the Double - Premiership and FA Cup - for the first time in it's history in 2010.